New Year is always a great opportunity to look back, close one chapter of a book, and then start fresh. Here goes my evaluation. (The purpose of this post is not to brag or impress you guys – even if I wanted to, the numbers are quite disappointing :-).) 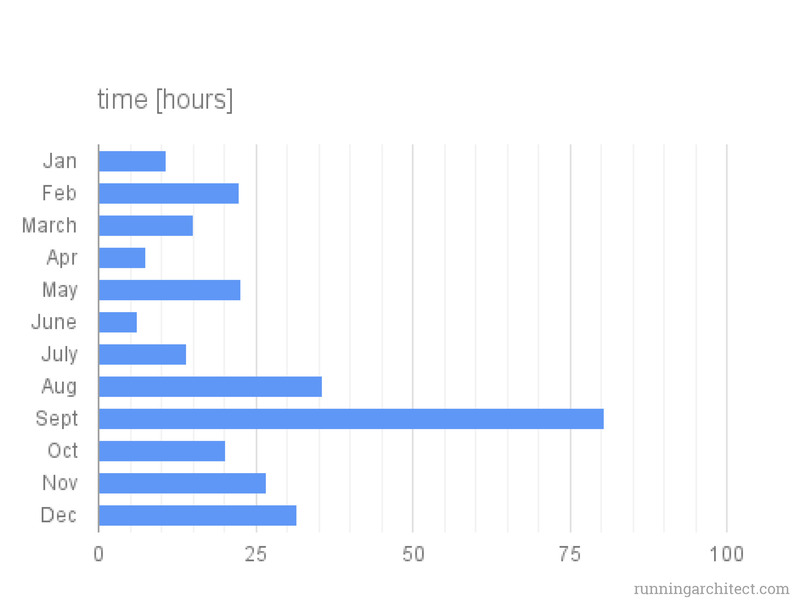 Thankfully, I did not have much troubles adding the numbers together as I have been uploading my sport activities on Strava.com. For your information, these do not include communting of any kind and no strolls. I have been running, hiking, and walking. 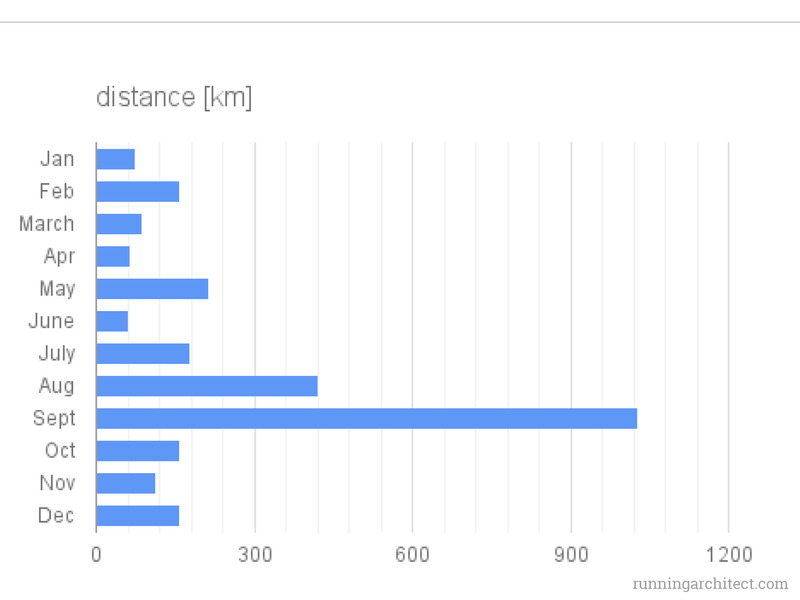 Unfortunatelly, Strava.com included only those run kilometers into the following statistic. I have manage to run 496km in 75 hours and 36 minutes with overall altitude gain of 12.345m. The distance would cover on way from my hometown to Prag, and the altitude gain would cover conquering Mont Blanc for three times. Again, not very impressive. It is only about 9.5 km in a week – so it is againg only one training ina week-time as my usual routes are about 8-11km. Putting things into a monthly perspective and including all kind of excercise looks more interesting – at least to me. It covers rides, fast and slow runs, and hikes as well. This graphic clearly shows that September was the most active month for me – yeah, the famous ride home from Germany. On the other hand, the least active month seems to be June. It is quite surprising as it is summer time in Europe, days are the longest, and it is also quiet at school. My guess would be, I was moving out from my old apartment at the end of June so I was rather busy packing boxes. The average number for time spent training (excluding months June and September from the statistics) would be 19.4 hours in a month. It is only 4.6 hours of training, weekly. My optimal training plan would imply 8-10 hours in a week, so I have completed only 50% of my plan in 2015. If I were to consider only the months I have been attempting to train actively, the second half of the year 2015, I have manage to cover 28.5 hours in a month, so basically 6.6 hours in a week. It is better than the yearly average, yet still not fullfilling my plan (meeting only 70-80%). Looking at the overall distance I have scraped last year, the results are similiar. I have been skipping trainings in June and was very active in September. The vertical distance I have covered was clearly influenced by the my current location – it was quite impossible to avoid altitude when being in Slovakia. 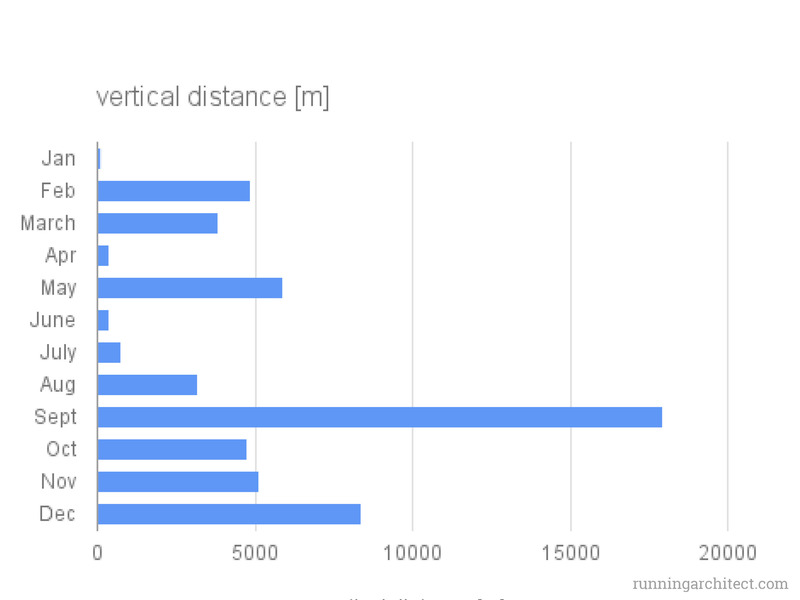 On the other hand, I was having hard time putting in vertical meters moving around Cottbus which is the flattest place in Germany, in my opinion. I could honestly say, I have had period when I was consciously training and then times of skipping training this year as well. At the beginning of the year, I was at my laziest which is very surprising. It is usually that time of the year when the most people are starting their new chapters. Apparently, not me. I am an exception. January is too depressing for me to start something exciting – days are too short, the weather is too cold, and the schoolwork starts to pile up on my desk. For what is worth, I have already started a new chapter this summer and will be happy with keeping the things the way they are right now, maybe improving thing or two. I have been living these past months in a belief, I am training a lot and could easily overtrain myself. Ehm, looking back, it is obviously not that case at all. I might have had the feeling, I am doing a lot – especially compared to the months before. Unfortunatelly, that was a very subjective observation. The numbers are tough and it is a little bit of let down for me. On the bright side, the coming year has twelve months – plenty of time for improvement, so let’s make them count! In the second half of September (18th – 29th Sept. 2015 to be more precise), I have moved out of Cottbus for good. To make this last moving more special, I have suggested to make it on bicycle and my dad jumped on board immediatelly. Yes, it is not exactly a short trip, it has been around 920km. Yet, it was very rewarding and I would do it all over again. It is important for you to know, I have been enjoying cycling regularly and this was not my first longer trip. It all started when I was a child and dad would take us on such expeditions. Back then, I guess I was still in kindergarden and as I was the younger child, I have been privilaged to sit in child seat on the dad´s bicycle and my brother had to pedal upwards. But then, we would switch places for the downhill part! Later on, when I grew up a little, I was stripped down of this special treatment and had to ride my own bike. Nevertheless, I have been enjoying these trips ever since. I have been fully aware of the challenge I wanted to undergo, so I have started with preperations two months in advance. I had to improve my fitness condition in order to be able to manage getting home in those two weeks. I would highly recommend it to anyone, who wants to do something similiar – unless you are a Pro :-). I also bought a new tent (Micra II by Salewa, for a personal review, please visit “My Gear”), as we planned on camping and I have packed my proper sleeping bag! 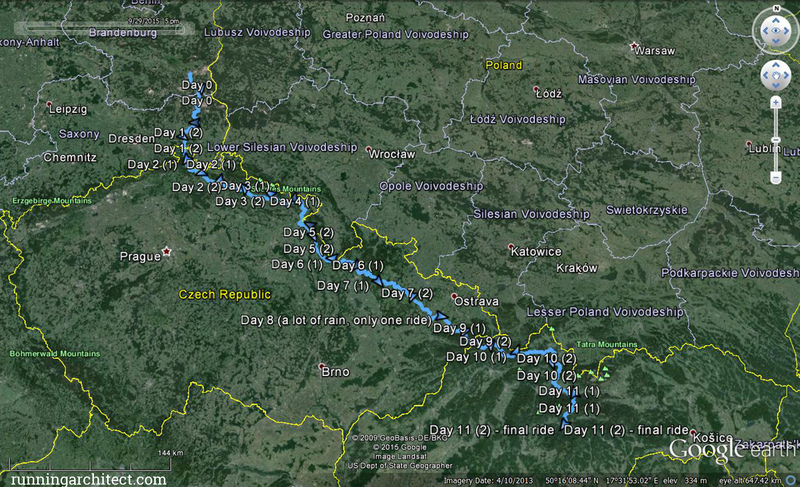 To cope with complicated logistics of transporting bicycle by bus or tain, dad has decided to start the trip few days earlier and take a train from home to the west-northern part of Czech Republic, close to German borderline and bike to Cottbus. Then, we were supposed to meet for an official start of the trip around noon in front of university library in Cottbus. Participating in architectural surveys in Villa Domitian in Castel Gandolfo, I have had chance to spend a fair share of time running around there. We have been staying in Miralago Hotel . The food there was amazing and so were the trails around as well. Working as surveyor is a challenging job – you have to be on your feet all day long, and in some cases you have to walk around a lot as well. I particularly enjoy the long walks/expeditions. I felt like a child again, searching for ancient remains – just like we used to look for hidden treasure. And the joy of each finding was the same as it was back then. If you switch on this Columbus-mode once, I find it impossible to switch it off again. So, I have kept my eyes open on all runs and it made my adventures more exciting. The Albano mountains are a vulcanic mountain range, composed out of four/five large craters of which two are filled with water – Albano Lake and Nemi Lake. This area has been very popular as a recreational spot for Romans since ancient times when the emperors and senators used to build here their villas (like the one we have been working on). There are several paths, see the plan attached below, to go for a run or ride but be prepare, the marking system is poor – especially comparing it to the one in central Europe. I will attach to each route a GPX-file. Plan of paths in the Albano Mountains – plan found on the information panel. I will pick the most interesting runs for you and attach some pictures to them as a little motivation of what to expect on your way. However, I find it very limiting to try and squeeze two months of experience into one post, so I hope to do my best. I believe this is a must. It is the easiest one so even with people of lower fitness level will have no problem managing it. I have been running this one in several variations, you can simply go once around the lake or park your car on the edge of caldera, e.g. in Castel Gandolgo or at Trattoria Le Fratte Ignoranti . However, the vertical connection between lake and caldera edge is due to steep hills very rare. You can chose from two roads with traffic and one trail. There should be a second trail as well, yet I have lost it in woods and had to find my own way. I would not recommend to do so in all parts! You can easily find yourself standing of high crag. The trail around lake runs halfway in woods, yet you would find several spots where you can enjoy the view over lake and Castel Gandolfo. It is quite popular with bikers as well. What is more, this spring they have been secured the flying rocks from the steep hills around the whole crater, so it should be safe. 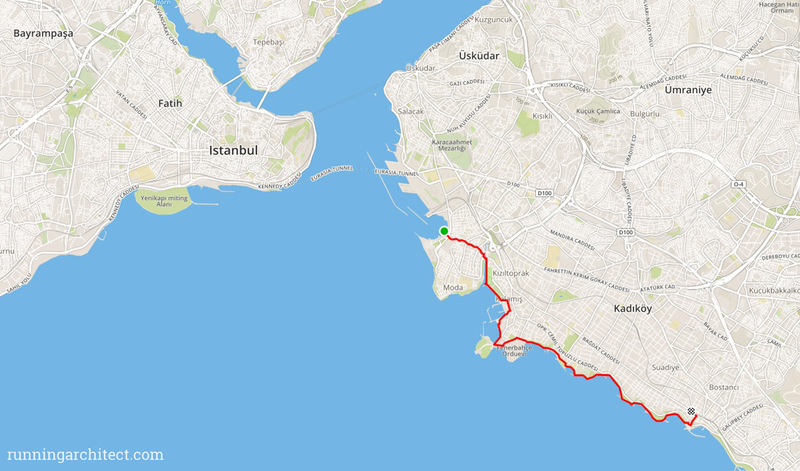 Unfortunatelly, a part of the route follows the street and the promenade along the coastline, so you would find yourself running on hard surface. If you like great view, make sure you do not miss this one. Monte Cavo is the second largest hill in Albano mountains. I have made it up there several times, mostly for the sunset. You can run up there along the Via Sacra or you can bike on them modern road (cars are also not banned but I will not support this option 🙂 ). After discovering pathes around Albano Lake in September 2014, I was very excited to get to Nemi lake in spring 2015. I have to say, I was fitter and more enthusiastic about exploring on foot then. Nevertheless, if you will be longing for a nice stroll or run around the lake, you will be disappointed. Unfortunatelly, there is no path along the coastline. You can take a path descending from Nemi – either the steep one or along the modern road. They both lead to the Museum (Museo navi romane – exhibiting an acient boat which was found in Nemi lake and some more) but thats it. There is no beach and I was having hard time getting to the water in general, so no swimming either. 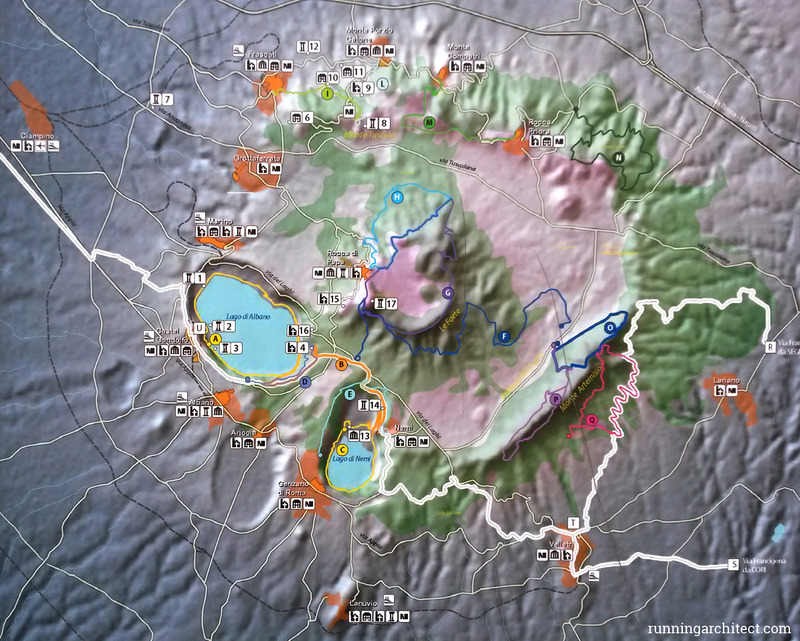 The northern part of crater is blocked by agricultural activity and the few settlements. To be honest, I only liked this lake from caldera edge. My first time visiting Istanbul did not go according to my plan. Right after landing, my vallet was stolen. Therefore, the rest of my trip was not so enjoyable for me. Despite that terrible first impression the city has made on me, I have returned there for second time – and of course, I have been watching my purse consistently. In March 2015, I have participated in an architecture workshop organised by BTU Cottbus and fully funded by DAAD. We have been staying in a hotel literally next to Galata tower, so I have landed right in the middle of the largest tourist-stream in Istanbul. Our task was to draft out a proposal for the waterfront in Karakoy – and to my surprise it has been booming with locals there. Just few steps aside from Galata bridge, you would find fish market, some outdoors cafes and plenty of hardware stores and workshops. It was really lovely there. So as I have been enjoying the site visits and fighting the tourists on my way ‘home’, I have decided to see some more of the real Istanbul. Visiting for the second time, I was no newbie in Istanbul. I have remembered my friend’s advice to purchase an Istanbulkart for the public transportation to move around faster and less expensive – it pays off right after 5 rides. However, its biggest benefit is saving you the rush and panic at the tourniquets when getting on tram, metro or ferry – I really appreciated just sweaping a card every time and not to have to look for coins! If you are a small-town-lover and you freak out in crowds easily, you should definitely get one! Plus, up to 5 people can travel with just one card. Anyway, getting around was not stressful for me anymore and I could explore the city. Two weeks in crowded city can be overwhelming, especially if you like open space just I like do. Don’t get me wrong, I do not mind company and I definitely enjoy meeting people. However, sometimes I also appreciate to be alone for few moments and need some time out of the jam. So, I have had packed into my suitcase a pair of running shoes (they are great for normal sightseeing as well!) and I had to put them into proper use at least one morning! The scedule of workshop was quite intense and there was no time for slacking off. So, I have decided to get up early and squeeze this adventure into my program before breakfast. All in all, I have enjoyed this morning adventure pretty much and it has definitely helped me to move pass the story with stolen vallet! So I have left Istanbul on good terms this time and am looking forward the next one.